Refin Ceramiche’s Twist collection is at the centre of the staging for Fuorisalone 2017 at Refin Studio, in the heart of Brera. The collection and staging were designed by Arianna Lelli Mami and Chiara di Pinto, creative director of Studiopepe. 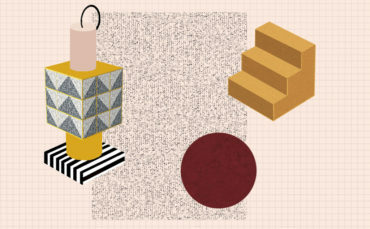 Within the prestigious spaces designed by Studio Sottsass Associates in the early 90s and recently rediscovered, patterns and geometries are the centre of attention and come to life on the ceramic surfaces, flowing in endless combinations of textures and colours. The neutral colours of the collection, related to the chromatic system NCS – Natural Color System®©, interact with each other in geometric sculptures, moving totems, creating a domestic landscape revisited in an abstract key that reveals the versatility of the collection. The patterns and geometries of the Twist collection are the protagonists of the installation by Studiopepe in the prestigious spaces of Refin Studio.